Welcome to the third and final installment of my reflections from HIS 2014. You can access the ‘box set’ via the list at the start of Part I.
Self-professed pragmatist Prof Holmes reminded us that the perceived and actual priorities of society, politicians and healthcare systems mean that it’s not all about infection control. We must harness macro (inter-hospital) and meso (inter-departmental) and micro (inter-team) relationships to successfully control transmission. This requires shared beliefs, reinforcement systems, role models, and the right staff skills. Plus, we need to get HCAI on the metric dashboard of CEOs. Indeed, HCAI outcomes are a sensitive surrogate marker of organisation performance, so this should be attractive to the hospital CEO once understood. We also need to embrace the public to tackle antibiotic resistance. Government messages about reducing antibiotic resistance have helped our day job (and proved popular on Twitter)! Involving patients and the public in our research makes everybody happy; patients and the public like it, and it improves our research (and helps to win grants). We need to embrace ‘mHealth’ in all its forms – games, apps and more – remembering that dinosaurs became extinct. The bottom line? Organisational, structural and managerial issues are crucial for the prevention of healthcare-associated infection (and the Lancet ID agrees). Since it was the occasion of European Antibiotic Awareness Day (EAAD) 2014, the talk from the impressive Prof Goossens was well timed! 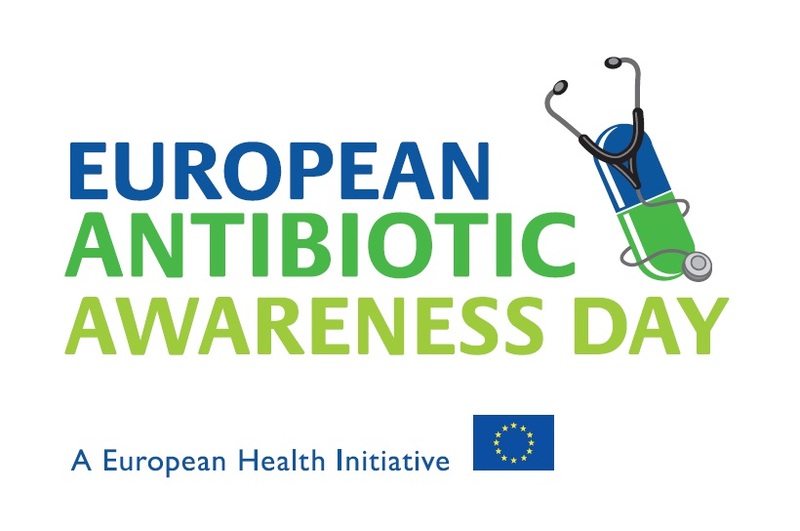 EAAD is a campaign aimed at the public and professionals to highlight the issues around antibiotic use and resistance. Many of the campaign materials are useful, including a toolkit for self-medication without antibiotics and various infographics. Prof Goossens spent some time discussing how to measure the impact of EAAD. 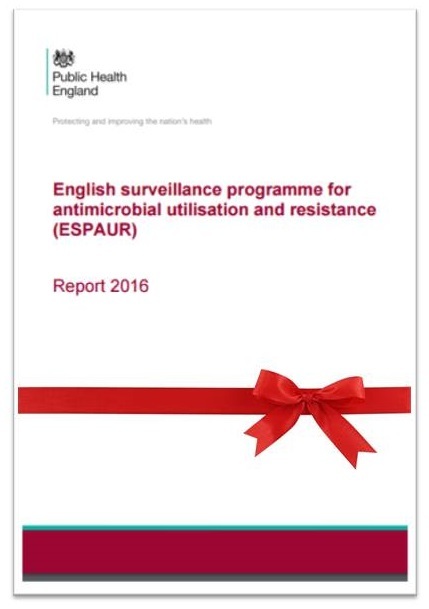 A lot of questionnaire type surveys have been performed, and it does seem that EAAD has prompted a swing towards a better understanding of antibiotics, so well done to all involved. What’s hot and what’s not in infection prevention and control? Dr Jenny Child (JHI Editor) presented a view of the literature through the eyes of a journal editor! Bad research can do much damage: look no further than the MMR & autism debacle. Worth remembering that indifferent, uncitable papers will not get published; it’s just not in the journal’s interest. Also, clever, ‘pseudo-scientific’ language is a barrier to good science. The bigger the journal, the plainer the language. Finally, whilst JHI has traditionally been a quantitative medicine journal (with p values and 95% confidence intervals! ), like it or not, social science is coming! I gave a talk on ‘What’s trending in the infection prevention and control literature’. You can access the slides and recording on a separate blog, here. Finally, Dr Jim Gray (JHI Deputy Editor) scanned the horizon of the infection control literature, seeing studies with specific interventions and real clinical outcomes (not proxy measures), SSIs, antibiotic resistance (especially CRE), obesity, design & technology, diagnostics and decontamination! Antibiotic stewardship: persuasion or restriction? Esmita Charani began by explaining the need to achieve behaviour change, not education in isolation, in order to effectively moderate antibiotic prescribing behaviour. The local prescribing culture is likely to influence prescribing policy more than the national guidelines. Junior doctors often don’t have a clue what to prescribe, so it’s a case of follow-my-leader (i.e. consultant). But targeting hospital consults alone won’t get us out of the mess of antibiotic resistance. We need to engage a wider audience, including the public. Meanwhile, Prof Inge Gyssens outlined the impact of antimicrobial restriction: contribute to MRSA reductions, prevent the emergence of MDR-GNR, and may help to bring outbreaks under control. The only downside is that switching to another antibiotic may cause more problems than it solves – a ‘squeezing of the balloon’ type effect. In a way, doctors are “addicted” to antibiotics. Put simply, antibiotic stewardship through restriction is a ‘cold turkey’ approach that works. Although not a formal debate, Esmita Charani and Prof Gyssens did a good job of presenting both viewpoints. I was left concluding that both persuasion and restriction are important but when it comes down to it, restriction is more important than persuasion. Left to their own devices, antibiotic prescribers will sometimes make poor choices; restriction takes away that choice! I’m pretty certain that Ebola and MERS will not be trending (at least I hope not). However, the scars of Ebola in West Africa will take a generation to heal. There’s a chance that we could be experiencing the next Influenza pandemic, but it’s more likely we’ll be talking pandemic preparedness. Whilst I personally favour targeted interventions, I fear there will be a general move towards universal interventions. I also fear that the confusing ‘vertical’ (aka targeted) vs. ‘horizontal’ (aka universal) terminology will be widely adopted, despite the fact that it’s confusing! Faecal microbiota transplantation is only going to get bigger. It will be the standard of care for recurrent CDI by the time the next HIS conference comes around – perhaps even via oral ‘crapsules’. Whole genome sequencing will not be as trendy as it is right now – it will just be a standard tool that we all use. The trend of CRE (and other multidrug-resistant Gram-negatives) is only going to go one way – upwards! I’m hoping to see some high-quality studies (ideally cluster RCTs) of environmental interventions with clinical outcomes. Finally, as we all deal with increasing cost constraints, studies evaluating the cost-effeteness of infection prevention and control interventions are going to become increasingly important.